The world's most powerful story engine, complete and uncut. This is the version you want if you have a Mac. This is the version you want if you have a PC. The above are Fully Functional versions of Dramatica. 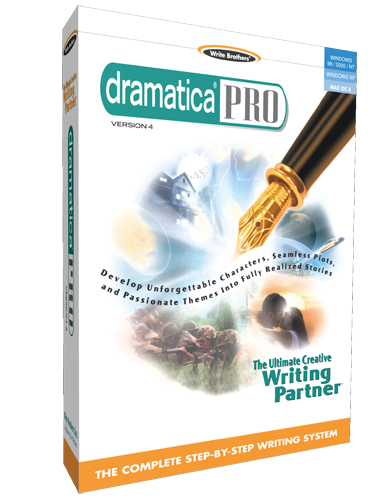 Note that Write Brothers, Inc. provides demo models for both Dramatica Pro and Dramatica Story Expert. With these versions you can see for yourself just how powerful and beneficial the theory can be towards your writing without any risk. Fancy a test drive instead? Here you'll find links to the storefront for Write Brothers, Inc. -- makers of fine software for writers, producers, and avid filmmakers alike. 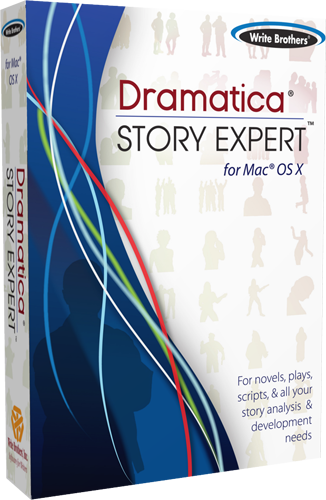 As of right now, there are actually 2 different versions of Dramatica you can choose from, Dramatica Pro for PCs and Dramatica Story Expert for Macs. Both are essentially the same--Dramatica's powerful predictive story engine drives both versions. The Story Expert (or Mac) version differs in that it provides a more comprehensive overview of your story's dynamics, a new feature entitled "Gists" that make Dramatica's sometimes-abstract terminology more approachable, and a whole host of other updates and features that make this the latest and greatest version of the application available.